There’s no denying Duke Nukem Forever was a bit of a flop, but apparently there was another version of the game, created back in 2001, which was considerably more impressive, and much darker, though it never seen the light of day. But according to Gearbox CEO, Randy Pitchford, that may change. A Duke Nukem film is in the works, with John Cena rumoured to play the title role. During the latest episode of the Nerdvana Live Show (via DSOG), Randy Pitchford revealed we may see the 2001 build of Duke Nukem Forever in a future package for Duke Nukem. However, Take-Two owns the IP rights for Duke Nukem Forever, meaning Gearbox cannot release legacy content, like the 2001 build, for free. As Pitchford explained, the “easiest legal path” is for publishers Gearbox to just add the 2001 build to a future Duke Nukem package, meaning it would not be free for previous owners of the game but would instead be an extra feature included in a future release. However Pitchford stressed fans should not have high expectations for the build, or its release. 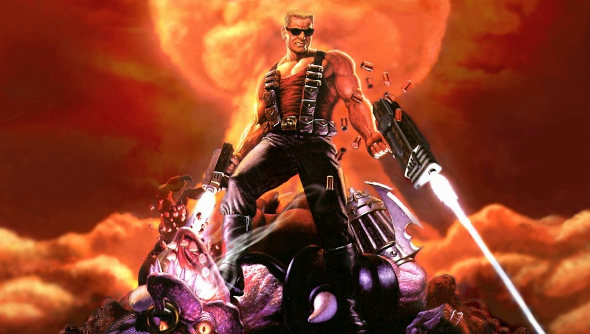 According to Frederik Schreiber (via DSOG), VP at 3DRealms, the unreleased version of Duke Nukem Forever was 90% complete, and seen a much different version of the game we know. The title had a dark RPG vibe which seen Duke collect inventory items, meet NPCs, and unearth mysteries. Hopefully we’ll get to see this unreleased build in the future, and see for ourselves if it lives up to the hype.